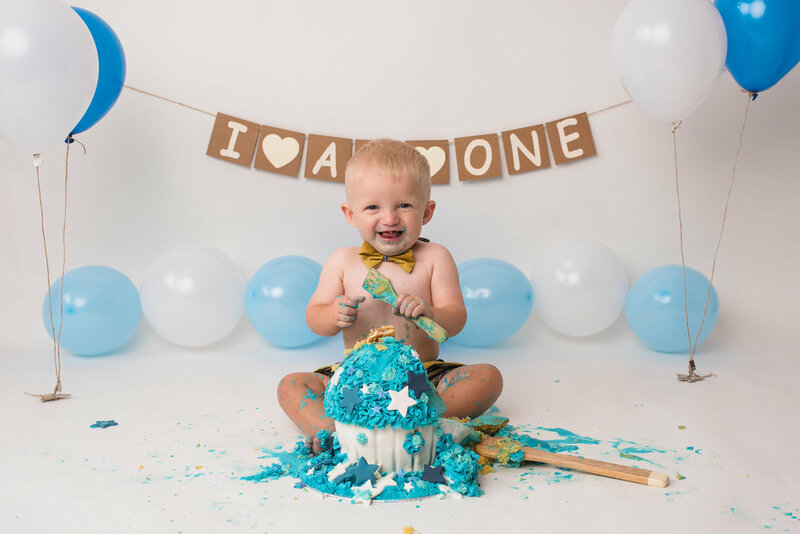 One year old! Let's celebrate and get messy! 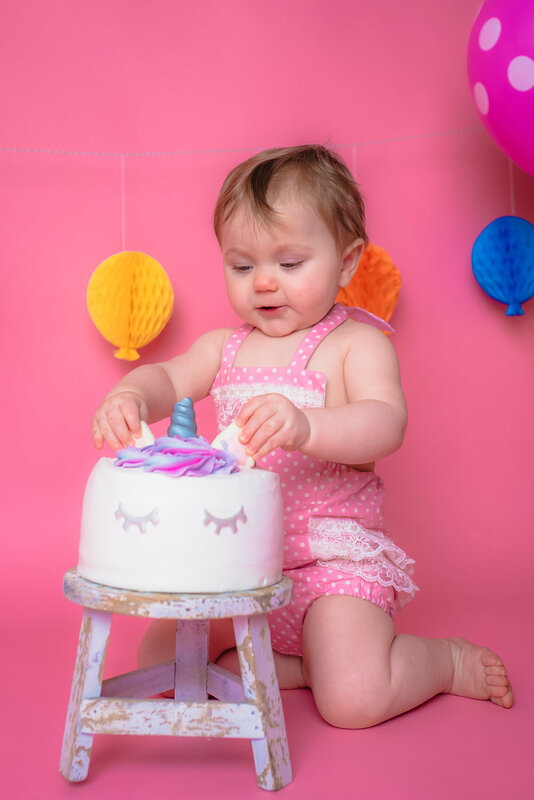 You've got to your first birthday, where did that year go? Let's celebrate by getting messy! And to celebrate this, why not make the most of getting as messy as possible! 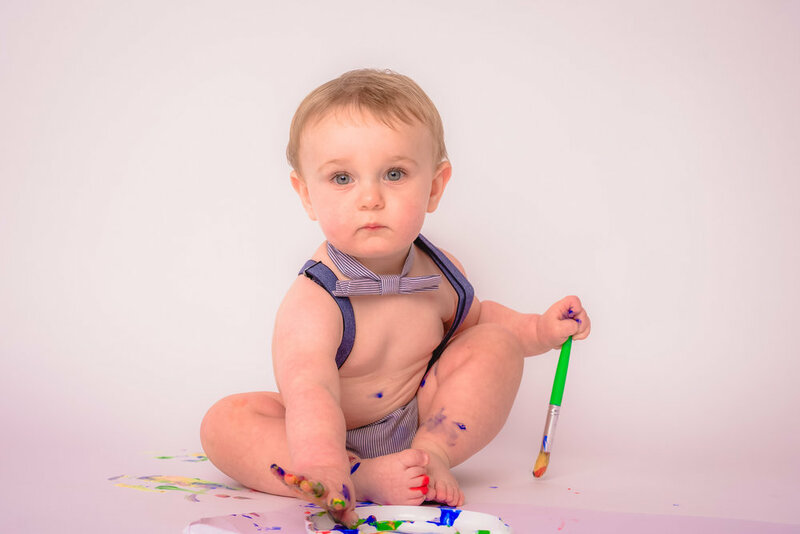 Maybe you want to smash a cake and eat that yummy icing; maybe you don't like cake and would rather make some art for mummy and daddy instead by splashing some paint about - it doesn't matter to us. 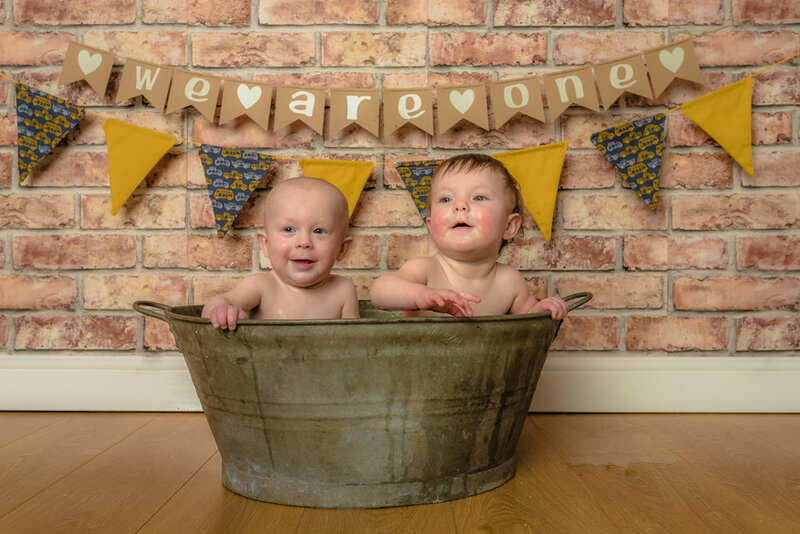 We are happy for you to arrive here looking posh for a quick portrait session, and then get changed into something to get messy in (we can supply this - quite happily!) 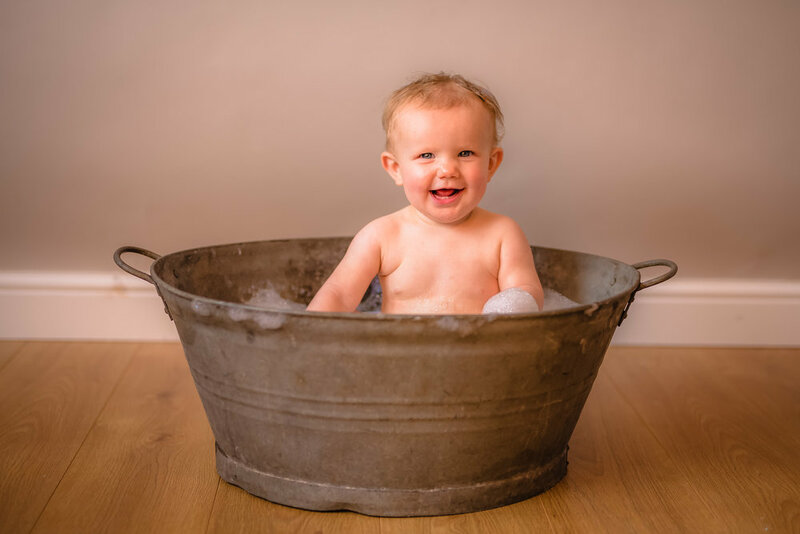 and then after all the mess it's time for a dip in our faithful vintage bath tub. 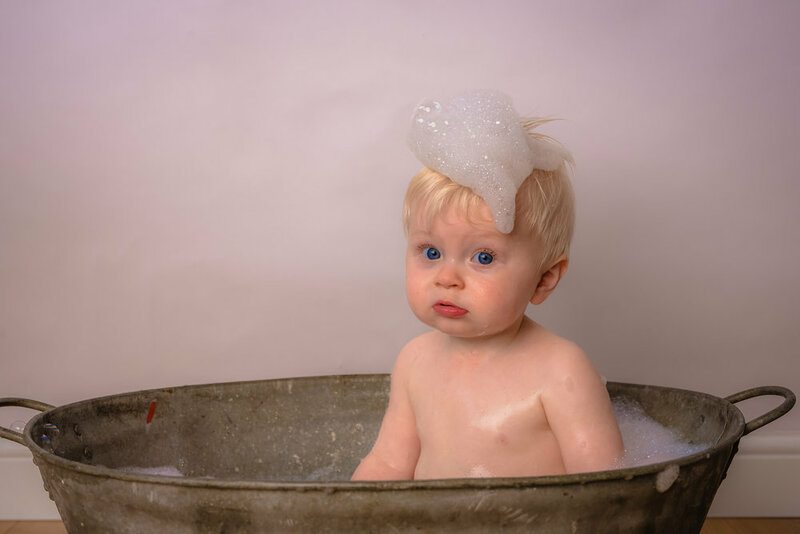 Of course, you don't have to get messy - you can just have a birthday portrait session instead - who wants to get in a mess anyway? Sometimes, you just want to show off how gorgeous you are! These are great fun sessions and are not to be missed - make sure you get in touch to ensure you have a space! Again, they are realistically priced - starting from just £150 - with images on USB.